They’re hoping to find clues to help in our hunt for alien life. The JAMSTEC team wants to start drilling by the 2020s. 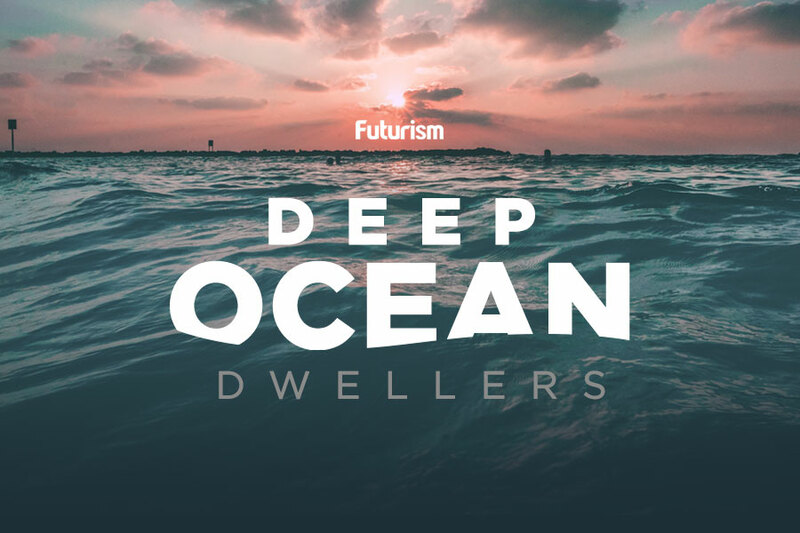 To do this, they need to explore potential underwater drill sites. This September, a two-week preliminary study to find such a site will be done by JAMSTEC deep-sea research vessel Kairei in the waters northeast of Hawaii, according to The Yomiuri Shimbun. Other candidate drill sites have been identified in Mexico and Costa Rica, in case the one in Hawaii won’t work. “There are still issues to be resolved, particularly the cost,” said petrology professor Susumu Umino from the Kanazawa University. The research team estimates that around ¥60 billion (roughly $542 million) would be needed for the project. “However, the preliminary study will be a big step forward for this project to enter a new stage,” Umino added. The decision to drill through the oceanic crust is a practical one, as it’s thinner (around 6 kilometers [4 miles] thick) than the continental crust. 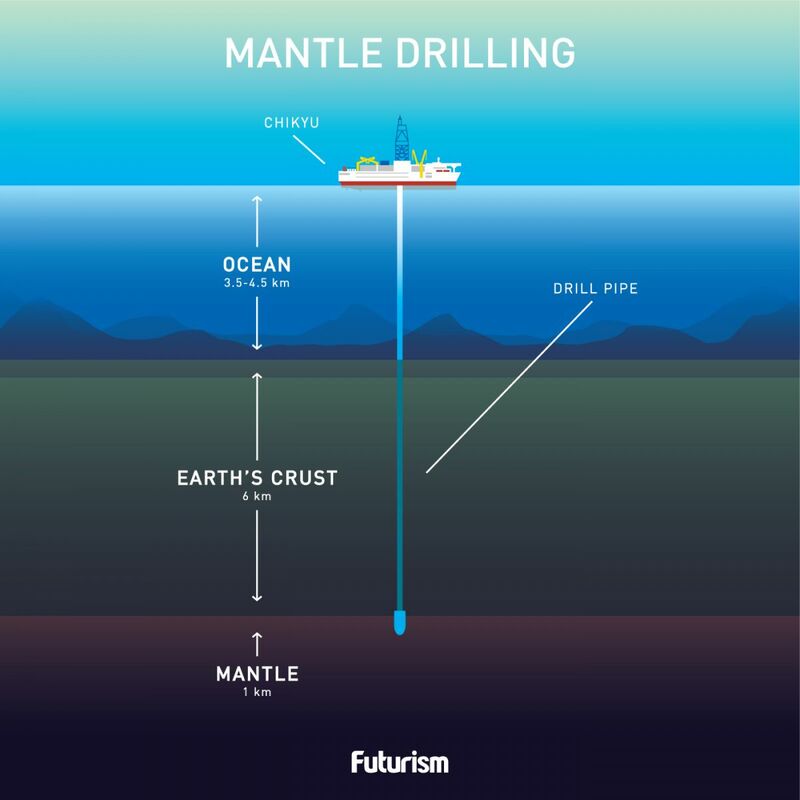 To reach the mantle, the Chikyu’s drill must pass through 4 km (2.5 miles) of water and 6 km (3.7 miles) of crust. The Earth’s mantle is located beneath the crust, and comprises about 80 percent of the planet’s total volume. It’s a flowing silicate rocky shell that is known to affect volcanic activity. As such, one practical consequence of exploring the mantle is to be able to understand such surface phenomena. The researchers also want to understand how the crust was formed by investigating the boundary between oceanic crust and the Earth’s mantle. Apart from this, the scientists also want to find out if microbial life could survive deep inside the planet. Such a discovery could yield information useful in the search for extraterrestrial life, as the conditions inside the Earth’s mantle could simulate those found on other worlds.